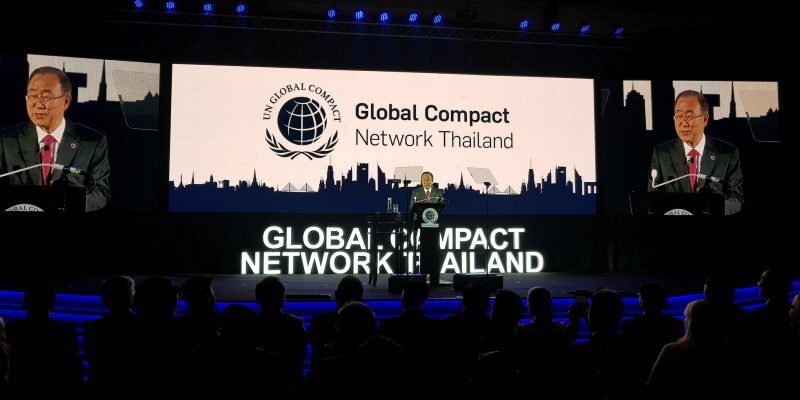 Ban Ki-moon Centre for Global Citizens’ Co-chair Ban Ki-moon delivered a keynote at the official launch of Global Compact Network Thailand (GCNT), setting off private-sector collaboration for country’s sustainable development, in Bangkok, Thailand on December 14th, 2018. Founded in 2017, GCNT is currently joined by 40 leading Thai corporates whose common purpose is to facilitate balanced and sustainable economic, social and environmental development in accordance with United Nations Global Compact — a collaborative network of private sectors that encourages businesses worldwide to adopt sustainable and socially responsible policies with more than 13,000 members in 160 countries. “By assembling leaders from the Thai private sector to form a Global Compact local network, the critical work that you are undertaking to alight your business with the ideals of the United Nations has my deep respect. Our world is going through pronounced changes resulting in elevated uncertainties and new risks. Keep working to make business a force for good. 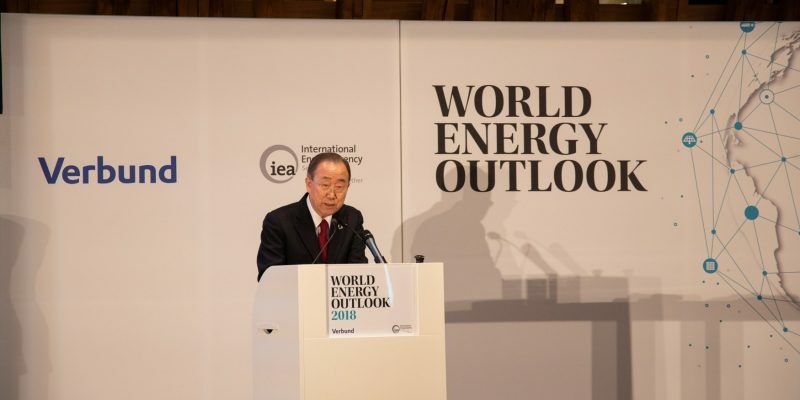 Together, we can respond to the urgency of our global challenges and construct a better tomorrow,” said Ban. GCNT‘s primary mission in 2019 is to provide private organizations with necessary guidance to ensure that they recognize the role of business case for the achievement of sustainable development and enter the GCNT membership to create high-impact collaborations. 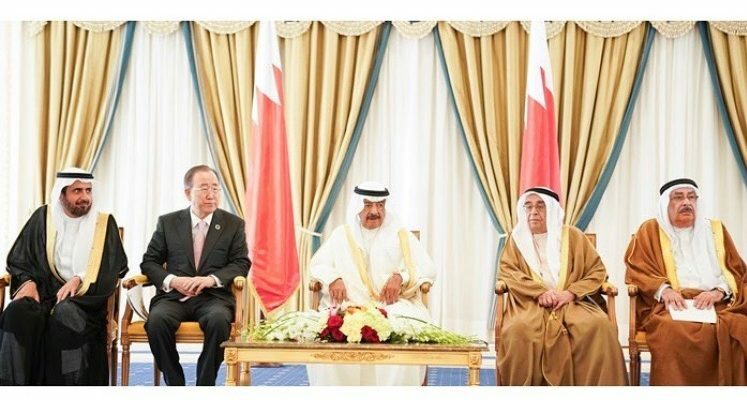 On November 18th-19th, 2018, The first “GCC Health Insurance Conference & Exhibition” was held in Bahrain where BKMC Co-chair Ban Ki-moon delivered a keynote at the opening session, followed by Director-General Tedros Adhanom Ghebreyesus of World Health Organization (WHO). The opening session as well as the ministerial session with Health Ministers, Deputy Ministers and global policy makers were moderated by Ambassador Kim Won-soo, who is a Board member of the Ban Ki-moon Centre for Global Citizens. The Conference aims to bring together health, public policy, and insurance experts from the region and the globe to share insights on implementing and managing national health insurance. The two-day conference featured panel discussions on health insurance schemes and reforms. These include defining the roles of buyers and providers of healthcare services and insurance companies, along with defining the significant role of innovation in health information systems within the reform program. 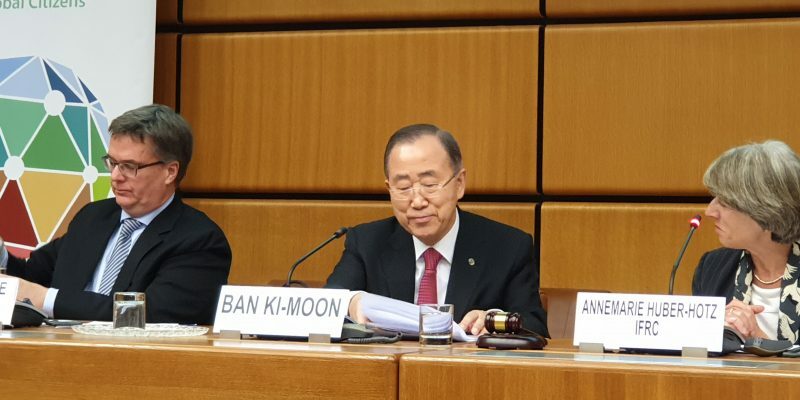 The Ban Ki-moon Centre for Global Citizens and the Austrian Federal Ministry of Europe, Integration and Foreign Affairs (BMEIA) co-organized a forum titled “Are International Treaties in Jeopardy?” in Vienna, Austria on November 13th, 2018. 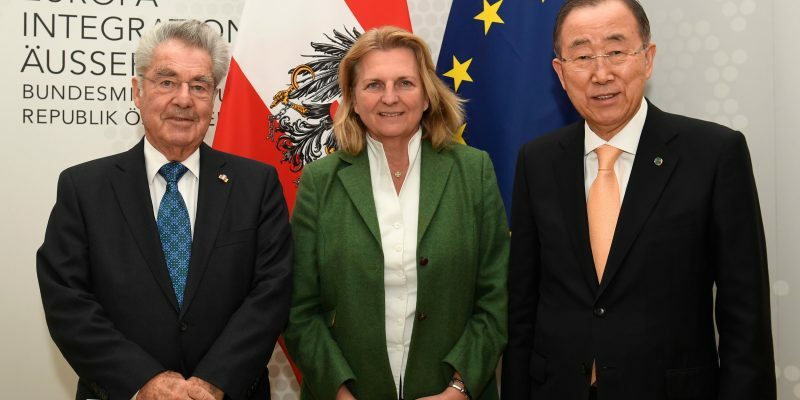 Prior to the forum, BKMC Co-chairs Ban Ki-moon and Heinz Fischer and CEO Monika Froehler had a meeting with Minister Karin Kneissl, Ambassador Andreas Riecken, Cabinet Karl Ehrlich of the Minister, and Deputy Spokesperson Peter Guschelbauer at the Ministry. The forum facilitated discussions on international treaties and rapidly changing status quo of the global society to seek for global solutions for global challenges impacting international relations. Both Co-chairs of the Centre delivered a keynote. Co-chair Ban, former United Nations Secretary-General, highly criticized that Austria has recently withdrawn from the global compact on migration. He emphasized that political leaders should approach global issues with moral perspective rather than following their political will. During the panel discussion, Co-chair Fischer also pointed out that the international rule of law should be the final goal for a state to reach and that one has to rely on international treaties and agreements. Minister Kneissl, Deputy Spokesperson Guschelbauer, and Head Thomas Hajnoczi of Disarmament Department of the Austrian Ministry of Foreign Affairs were also featured on the panel as well as Ms. Mona Ali Khalil, former Senior Legal Officer with the UN Office of the Legal Counsel, and Professor Gerhard Hafner for International Law at the University of Vienna. It is my pleasure to take part in the launch of the World Disasters Report 2018 today at the Vienna International Centre. The International Federation of Red Cross and Red Crescent Societies has been a frontier drawing attention to the world’s complex challenges, looking into the areas where emergency interventions need to be addressed and advanced. With its research and analysis, the IFRC has provided the world with guidelines to meet the needs and to improve the wellbeing of humankind exposed to disasters and health emergencies. I would like to underline my appreciation to the IFRC for its dedication to saving lives, protecting livelihoods, strengthening recovery from disasters and crises, enabling healthy and safe living, and promoting social inclusion and a culture of non-violence and peace. Now that the year of the final review of the Strategy 2020 is approaching, it is more timely than ever for IFRC and all of us, to closely examine the actions implemented and find out where gaps persist between the “expected” and the “actual” outcomes. In order to reduce these gaps, the 2018 World Disasters Report aims to provide guidance for the international humanitarian sector, on how to better respond to the needs of the most world´s vulnerable people and how to mobilize the power of humanity. The United Nations Office for the Coordination of Humanitarian Affairs reported that only 97 million were selected to receive humanitarian aid out of about 134 million people in need this year. A lack of global investment in disaster relief leaves tens of millions of people exposed to preventable disaster risks. Out of 25 billion dollars required, less than 12 billion dollars have been received, and this should alert all of us in the international community and particularly donors to do more and reach further. First poor information about who is most in need and second limited understanding about how to help them best as programmes are not always targeting the right people in the right way. Third inadequate access to people who need support, and fourth a lack of flexibility in expanding humanitarian assistance to people outside the traditional areas of conflict, disaster, displacement or disease. And fifth: inadequate funding. Solving the problems of our rapidly changing world needs everyone, every country, and the international community’s attention and their cooperation. Global issues need global solutions, and global solutions must not leave anyone behind. This requires strengthened partnerships in global policy-making that builds resilience and reduces vulnerability of people. peaceful, livable, prosperous and sustainable world. 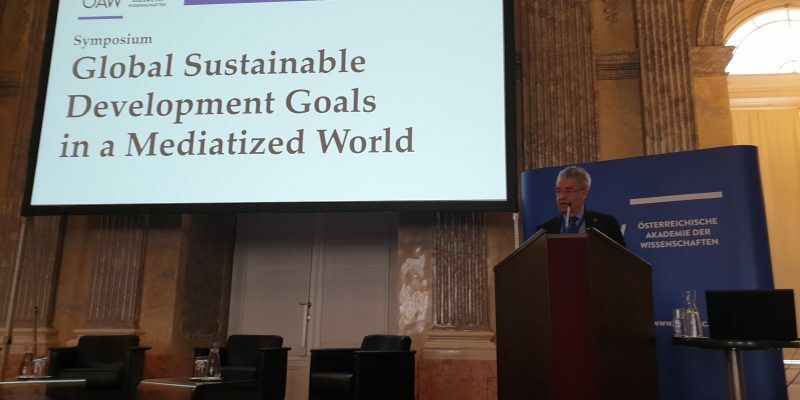 I try to continue that work with various roles that I have taken on, continuing to build bridges and raise awareness also with the humble Centre for Global Citizens, which I founded here in Austria together with my good friend Dr. Heinz Fischer. Following up on the Paris Agreement within the UN Framework Convention on Climate Change, in October this year a Global Commission on Adaptation was launched in the Netherlands. Together with Bill Gates, Co-chair of the Bill & Melinda Gates Foundation, and Kristalina Gerogieva, CEO of World Bank, I lead the Commission to catalyze a global movement to bring scale and speed to climate adaptation solutions. As you surely know the Secretary-General of the International Federation of Red Cross and Red Crescent Societies, Elhadj As Sy, was also appointed as a member of the Global Commission on Adaptation. The Commission works to address opportunities to become more resilient and less vulnerable to climate impacts and natural hazards. It urges governments and businesses to incorporate climate change risks into their social and economic development plans and investments and makes sure that the world’s most vulnerable people receive the benefit. Climate change is merely one of many causes of natural disasters, and there are countless number of other challenges that the world needs to pay attention to. More than half of the emergencies the IFRC responds to are a direct result of weather-related events. And the majority of the other operations are compounded by and made more complex by changing climate. 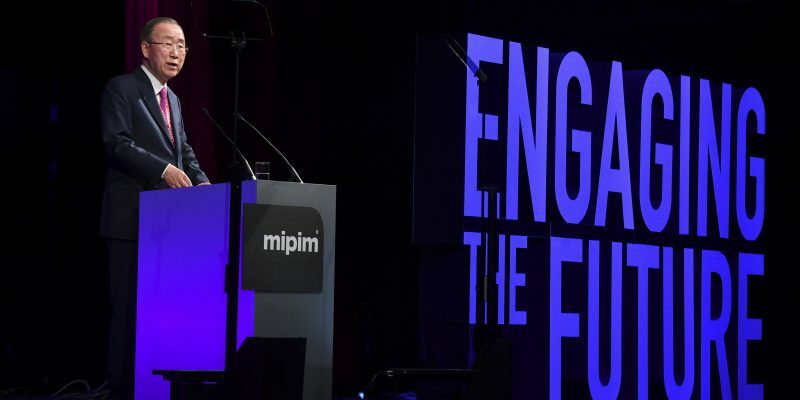 Each and every one of us must all play our part with our own expertise to tackle these increasing global challenges. We simply must continue to work to leave no one behind and move forward, together. This strong message is engraved in my memory and I continue to try to do my share as a global citizen to help the ones in need. All our helping hands are needed. With the launch of the 2018 World Disasters Report today, I urge the international community, states, and individuals to come together to further reach marginalized areas and to give hand to people in vulnerable situations. No one should be left behind, and the 2018 World Disasters Report will draw the lines of a picture that the world can paint together to make this world livable for all. 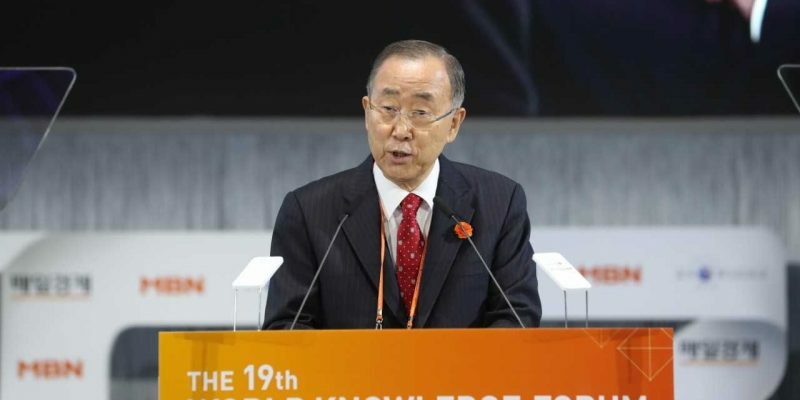 Ban Ki-moon Centre for Global Citizens’ Co-chair Ban Ki-moon delivered keynote address at the World Knowledge Forum (WKF) that took place on October 10-12th, 2018 in Seoul, Korea. After the Asian financial crisis in 1997, the WKF was launched in October 2000 with the ambition to transform Korea into a knowledge driven nation. Since then, the World Knowledge Forum has taken on the role as a platform for discussions to reduce knowledge gaps through knowledge sharing, and promote balanced global economic growth and prosperity. A total of over 4,000 global speakers and 43,000 audiences have participated since the first forum with the theme of “Shaping the New Millennium with Knowledge” in 2000, and the forum has now become the biggest knowledge festival in the world. Since last year, BKMC Co-chair Ban has also served as Co-chair of the WKF. This year the forum adopted “Collective Intelligence: Overcoming Global Pandemonium” as its theme to reflect the situation we are in now and our effort to survive it with collective intelligence. ‘Pandemonium’ refers to the devil’s den featured in renowned English poet John Milton’s epic poem titled ‘Paradise Lost’. In other words, the term is used to depict situations that are chaotic like hell. As such, ‘Pandemonium’ can be utilized to describe the chaos brought about by global challenges such as geopolitical conflicts and trade war. To tackle the global challenges, high-level speakers including Chair Jenet Yellen of Federal Reserve System, President Kersti Kaljulaid of Estonia, H. R. McMaster, the 26th Advisor to National Security Council, and President Rajeev Suri of Nokia were featured at the WKF 2018. A multimedia event on “Global Citizenship in a Time of War” organized by Heather Wokusch, an educator who works in the field of women and youth empowerment through education and promotes the SDGs, was hosted at the Ban Ki-moon Centre for Global Citizens on September 27th, 2018. 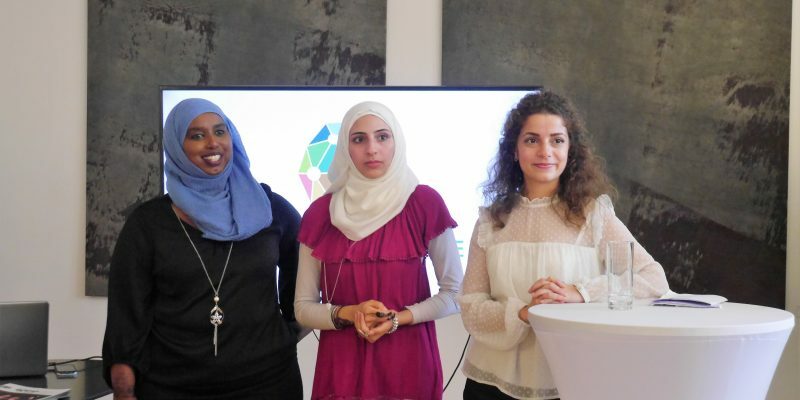 Having gained international attention while addressing the plight of refugees, three young refugee women shared their experiences and inspirational stories during the event. Nour Barakeh: With a background spanning scientific studies and artistic work, she supports the establishment of sustainable educational projects focused on empowering people to transcend the effects of war. She wrote a theater piece “Not Our Fate” that has been recently performed at European Forum Alpbach as well as at the Weltmuseum Wien hosted by Österreichisches Parlament. She also acted in the play herself. Suad Mohamed: From Somalia, she has lived in Saudi Arabia, Syria, Pakistan, and Austria. She speaks five languages and is currently learning her sixth: German. As a pharmacist, Mohamed works as an Assistant Consultant in the Österreichisches Rotes Kreuz and as an interpreter at Diakonie Österreich. Her aims are to spread awareness about refugee and migration issues, to improve the healthcare and pharmaceutical systems in developing countries, and to empower women. An excerpt of the video “Escape from Syria: Rania’s Odyssey” was screened during the event to show a journey of Rania Mustafa Ali who filmed her flee from Syria to Austria. On the way, Ali was cheated by smugglers, teargassed and beaten at the Macedonian border. She also risked drowning in the Mediterranean, travelling in a boat meant to hold 15 people but stuffed with 52. Mustafa was also supposed to deliver keynote at the Centre’s event but could not make it due to unexpected flight issues. BKMC CEO Monika Froehler delivered welcome remarks and also facilitated a Q&A session. Guests from various different sectors such as media, international organization, NGO, etc actively involved themselves in the conversations on the refugee crisis and sought for ways to solve the global issue and to empower those in need of help. A ‘female empowerment’ segment of a video filmed during the European Forum Alpbach capturing “Not Our Fate” was also screened and touched the audience. The third Asia Leadership Forum was held by the LIU Institute for Asia & Asian Studies at the University of Notre Dame in Notre Dame, the US on September 12th, 2018. 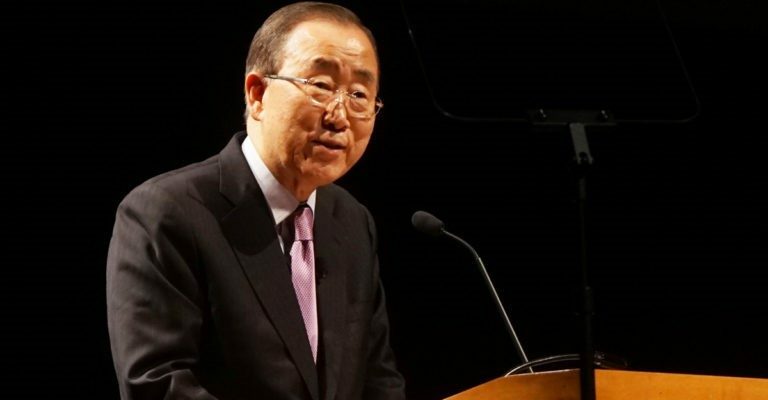 The Centre’s Co-chair Ban Ki-moon presented on “the United Nations and Global Citizenship” at the forum. Below is the script of his keynote address. Our world is going through pronounced changes and this is resulting in elevated uncertainties and new risks. Challenges to the post-Second World War international order and our multilateral institutions are being felt in a variety of spheres. Tariffs and protectionism are threatening free trade, conflicts between the US and its traditional allies such as Canada are growing, and US trade wars with China and the EU are expanding. Human rights are under threat as nationalism and xenophobia spreads. Development and humanitarian funds are being slashed. Our climate is changing as well, and this is bringing dire risks to our ailing planet. At the same time, new technologies are altering how we communicate, live, and work. Sweeping advances in the fields of AI, blockchain, biotechnology, and robotics will alter the future of our countries, cities, businesses, and interpersonal relationships. Under this backdrop of waning internationalism and dizzying change, we must continue to work together through expanded partnerships and cooperation. We must also forge ahead through a driving commitment to global citizenship to help cope with these seemingly insurmountable challenges. However, despite these challenges, we have made progress in key areas and I am confident that we also have invaluable opportunities to change the world for the better. Much of this progress is grounded in the power of partnerships and cooperation to achieve our development and climate goals. And much of this hope is driven by my belief in education, youth empowerment, and action. Therefore, I firmly believe that we must remain committed to our international system anchored in multilateral institutions such as the United Nations. Solving the problems of our changing world, which are intrinsically global in nature, will continue to require robust cooperation and global solutions. During my ten-year tenure as United Nations Secretary-General, I strived to execute my global leadership duties by leveraging the power of partnerships. This is important since the UN and its Member States can no longer bear these responsibilities alone in our rapidly changing world. That’s why young people and universities are such a crucial part of the ultimate success of the UN’s efforts to ensure a more peaceful and sustainable world. In 1945, as the ashes of war lifted, the UN was born to provide an international forum for maintaining global peace and security. Its critics were numerous then, but the UN offered all nations and peoples an alternative to the bombs, guns, and destruction of the Second World War. This alternative was based on the guiding belief that diplomacy and cooperation offered the international community a better way of resolving conflicts. And so, 74 years later, the UN remains the preeminent forum for every country in the world to address serious global issues together. During this time, the UN has tirelessly pursued its three interconnected pillars of peace and security, sustainable development, and human rights. But challenges remain. Today, I will speak to you about how we can advance and also flourish in this era of increased global uncertainty and insecurity. We can achieve this goal through sound policies, the power of cooperation and partnerships, and a driving sense of global citizenship. But we must all play our part in this process, particularly young people such as you and leading academic institutions such as Notre Dame, if we are to succeed in creating a better world for all. Having said this, let me touch upon three key areas. First, I will discuss the great necessity of achieving the UN’s Sustainable Development Goals (SDGs). Second, I will address the most serious challenge we currently face: climate change. And third, I will speak about the need for expanded youth participation and the role of global citizenship in forging a more sustainable, peaceful, and prosperous future. We have taken significant leaps forward in the field of global development in recent years. The international community, guided by the landmark United Nations Millennium Development Goals, has undoubtedly improved human welfare around the world. Extreme poverty rates have been cut in half by 2010. This represents over 1 billion people and is truly an incredible achievement. During this period, the under-five mortality rate has been halved and rates of maternal deaths have been reduced by 45 percent. And since 1990, 2.1 billion people have benefited from access to improved sanitation and over 2.6 billion people now have improved sources of water. But there is still much work to be done. Nearly 10 percent of the world’s workers and their families still live on less than $1.90 a day. Over 6 million children perish each year before they reach their fifth birthday. And 663 million people remain without drinking water. This figure is in danger of worsening as a result of climate change-accelerated droughts. Inequality is also growing, both between and within nations. Since 2000, 50 percent of the increase in global wealth has only benefitted the top 1% of the world’s population. Even more jarring, a recent report indicated that just 42 rich individuals hold as much wealth as the 3.7 billion people who comprise the poorest 50% of the global population. During my two terms as UN Secretary-General, I am proud to have prioritized and expanded the importance of the Organization’s global development efforts. The 2030 Agenda and its Sustainable Development Goals is one of the UN’s most significant achievements. It builds on the Millennium Development Goals and provides humanity, and our planet, with a collaborative blueprint to ensure the future we want. Adopted by 193 countries in New York in 2015, the SDGs offer us a way forward to confront the most critical issues of our time. These include poverty, education, inequality, climate change, public health, and gender equality. However, three years since the SDGs were adopted, progress remains uneven and some sectors and geographic areas are moving faster than others. For example, according to the 2018 SDG Index and Dashboards Report, while most G20 countries have started SDGs implementation, visible gaps remain. Additionally, no country is currently on track towards achieving all of the SDGs. Furthermore, conflicts around the world are leading to reversals in SDG implementation, and progress towards sustainable consumption and production patterns is too slow overall. At the regional level, countries in East and South Asia face persistent challenges related to SDGs 2 (Zero Hunger), 3 (Good Health & Well-Being), 9 (Industry, Innovation, and Infrastructure), 14 (Life below Water), and 16 (Peace, Justice, and Strong Institutions). With this in mind, global partnerships, including the active participation of universities and students like you, are necessary if we are to deliver on our development commitments. Goal 17 of the 2030 Agenda clearly highlights the prominent role that academic institutions, alongside the private sector, civil society, and others, should play to help achieve the SDGs. In this regard, I am proud to have expanded the UN’s partnership efforts with academic institutions. In 2010, I launched United Nations Academic Impact (UNAI). It aligns institutions of higher education with the UN to actively support and contribute to the realization of the SDGs and other global efforts. Educational institutions and research centers are essential partners in our quest to achieve the SDGs. They serve as launch pads for new ideas and incubators to forge solutions to the seemingly insurmountable problems that we face. And the academic community, including universities such as yours, has stepped up to the plate to help with these efforts to achieve the SDGs and our climate goals. I am proud to have expanded and mainstreamed the UN Global Compact, which ensures that business is done both sustainably and responsibly. The UN Global Compact does this by bringing together over 12,000 signatories from 170 countries in a public-private partnership to help achieve the SDG’s. Notre Dame’s efforts to this end are a shining example of the power of partnerships in action. But we must maintain our forward momentum, together. In this regard, I would like to introduce my engagement in the implementation of the SDGs in Korea. Last year, the Institute of Global Engagement and Empowerment and the Ban Ki-moon Center for Sustainable Development were established at Yonsei University, a prominent private university, and the oldest in Korea. I assumed the position of Honorary Chairman of the Institute and hosted a “Global Engagement and Empowerment for Sustainable Development Forum.” The Forum featured many nationally and internationally recognized persons including Mr. António Guterres, Secretary-General of the United Nations, the Prime Minister of Korea, the President of the UN General Assembly, and Jack Ma, Chairman of Alibaba, the most successful businessman in China. It is my great hope that the Institute of Global Engagement and Empowerment and the Ban Ki-moon Center for Sustainable Development can help Asia take on an even more prominent role in the field of global development. All of these elevated efforts, borne out of partnership and propelled by the spirit of global citizenship, will not only help improve human development around the world, they will also help fortify the protection of our vulnerable planet. Climate change is altering the character of our planet and creating dire risks and instability. We must increase our collective efforts to protect ourselves, our communities, and our world from the existential threats that this will bring. The play clock, however, is counting down. From record-breaking heat waves and wildfires, to hurricanes and flooding of historic intensity, climate change is no longer a debate. It is clearly here right now. Here in Indiana, a warming planet could render this scenic state starkly different in the coming years. Hotter summers and volatile rainfall and flooding could upend the state’s $31 billion dollar a year agriculture industry and the livelihoods of its proud farmers. Extreme weather conditions and a warming climate, if left unchecked could severely affect crops, livestock, and local ecosystems. The recently released “Indiana Climate Change Impacts Assessment” warned that state temperatures are projected to rise from 5 to 6 degrees by the middle of this century. This could make Indiana’s climate feel more like the Deep South rather than the Midwest if we fail to act. And elsewhere, the extreme weather events of just the last few months alone point to a bleak and dangerous future. 2018 is on track to be the fourth hottest year on record globally, with the three previous years the only ones hotter. This summer, California has been engulfed in flames and smoke from historic wildfires. Intense and prolonged heat waves claimed dozens of lives in Japan and Korea. And near Greenland, the Arctic’s thickest sea ice broke up for first time on record. These events no longer seem like anomalies; rather they appear to be the new normal. So we must immediately take the necessary steps to combat climate change, or these turbulent shifts will continue to bring dangerous scorching heat waves to our cities and rural areas. They will cause sea levels to rise higher and lead to deadly flooding. They will make hurricanes and typhoons even more frequent and intense. They will drive displacement and seriously threaten entire communities and countries. With this reality in mind, we must step-up our collective efforts to implement the Paris Agreement. The bottom line is that we don’t have a plan B, simply because we don’t have a planet B either. The Paris Agreement, signed by 197 countries in 2015, offers us a clear game plan to confront these serious threats to our planet. It sets viable targets to impede rising temperatures, constrict greenhouse gas emissions, and spur climate-resilient development and green growth. During my time serving as United Nations Secretary-General, this is one of my most significant achievements. And I truly believe that the Paris Agreement offers us our best hope to persevere over the serious threats to our ailing planet. But to achieve this goal, we need to keep working together. However, I must take this opportunity to communicate my deep disappointment regarding the current US government’s decision to withdraw from the Paris Agreement. This isolates the US from literally every other country in the entire world on climate policy, including even North Korea and Syria. It is scientifically wrong, economically irresponsible, and President Trump will be on the wrong side of history. I greatly hope that this decision is reconsidered and reversed. But, despite this, there are still many reasons for optimism. I am impressed by the “We Are Still In” actions of the many cities, states, and companies in the US who have joined together to ensure implementation of the Paris Agreement despite the unfortunate decision of the US government. This includes cities in Indiana such as South Bend, Carmel, Gary, and Bloomington. These actions will help fill the vacuum and work towards reducing this nation’s carbon footprint and Paris implementation. And this is another inspiring example of the utility of catalyzing public-private partnerships, anchored by the spirit of global citizenship, in helping us achieve our climate goals. Asian countries have a prime opportunity to take the lead on climate issues. China’s growing climate leadership in these difficult times for our planet has the potential to positively affect the Asian region and the world more largely. China’s decision to set a deadline to completely phase out sales of fossil-fuel-powered vehicles is a sterling example in this regard. At the same time, other countries such as Korea, India, Japan, and Indonesia must continue to lead by example in the fight against climate change for the betterment of their countries, Asia, and the world. There are individual actions we can all take as well, and young people like you can lead these efforts. Don’t waste water or electricity. Be aware of your consumption and carbon footprint. Learn more about supply chains and buy sustainable products. Recycle, compost, and avoid single-use plastic. Take a sustainability pledge. Talk with your family and friends about the dangers of climate inaction. We are all in this together, and we simply must continue our momentum forward, together. In this era of division and uncertainty, I strongly believe that fighting climate change and achieving the UN’s SDGs are two efforts that must unite all nations and global citizens through cooperation and partnership. Quite plainly, our collective existence moving forward depends on it. But this urgent and historic undertaking can create opportunities as well. We can cultivate essential partnerships, spur economic growth, expand social inclusion, and work for the greater good. And I am confident that leading academic institutions such as the University of Notre Dame and young people like you will be central to these unified efforts. During my time as UN Secretary-General, I understood that young people and women are absolutely essential to solving so many of the world’s biggest challenges. This includes achieving the SDGs, tackling climate change, and building peace and resolving conflicts. Indeed, the active engagement and empowerment of the youth and women is critical in ensuring the success of the international community. Consider the fact that young people and women comprise at least 75% of world’s population. So we must do more to engage and empower these two groups as they are the enablers to achieve our sustainable development and climate goals. By doing so, we can help unlock their unbridled potential as the agents of change and dynamic global citizens of tomorrow. Global citizenship is an important concept that can serve as a unique tool to help solve some of our most pressing challenges and assist us in reaching our global goals. Global citizens are those who identify themselves not as a member of a nation, but instead, as a member of humanity more largely. They are understanding and tolerant of other people and cultures. They fight for the protection of our planet and human rights. They are committed to service and helping others, including refugees. They build bridges rather than construct walls. They look beyond the narrow prism of national and personal interests and work for a better world. And to establish long-term solutions, we need inclusive and participatory action from young global citizens as an essential ingredient to leverage the great potential of partnerships that I spoke of earlier. So for these reasons, I’ve been trying my best to help elevate global citizenship as a driving vision for young people around the world. In this regard, I am proud to inform you that I recently launched the Ban Ki-moon Centre for Global Citizens to continue my work as UN Secretary-General and help forge a brighter future for the next generation. Based in Vienna, Austria, the Centre aims to help provide young people and women with a greater say in their own destiny, as well as a greater stake in their own dignity. Alongside the UN, the private sector, and other key stakeholders, I see the University of Notre Dame, Yonsei University’s Institute of Global Engagement and Empowerment and Ban Ki-moon Center for Sustainable Development, and the Ban Ki-moon Centre for Global Citizens in Austria as natural allies in our partnership efforts to engage the next generation and advance policy-oriented research to achieve our global goals. Please allow me to conclude my remarks by saying that despite the challenges we currently face, if we join together in strong partnerships and move forward as global citizens, we can achieve our global goals and create a brighter future for all. But to do this, I humbly ask you to harness your vision, studies, and work to prioritize global action. Look outside your immediate surroundings, your state, and your country. Think beyond yourselves. We need to ensure that the global goals are local business; here in Indiana, in Asia, and beyond. Students, you hold the keys to unlock a more sustainable, peaceful, and prosperous world. You are the innovators, the change-makers, the leaders, and the global citizens of both today and tomorrow. Play your part in helping advance the United Nations global development and climate goals. Hold politicians and leaders accountable. We only have one planet, and our ability to sustain it will ultimately dictate our collective future. Your voices are more powerful than you know. So please, work hard in your life and future careers heeding these resonant words alongside a driving outlook rooted in global citizenship. Include the excluded and act with both passion and compassion to help humanity, and our planet, move forward. I have no doubt that you can change the world.